Finding the right tenants for your Atlanta rental property can be a challenge. It is hard to know if someone will be a good tenant based on first impressions. You want to find the best tenants for your rental property, tenants who will take care of your place, pay rent on time, and not break any of your rules. But you can’t know all of this right away when showing them your property. While you may really never know if they are or will be good tenants, there are questions you can ask, and should ask, to make weeding out the bad tenants easier, increasing your chances of renting to good tenants. Dealing with tenants can be demanding and tedious. You may not know what how to best screen potential tenants, or what to look for in a background check or credit report. That is where Atlantic Property Management comes in. Our Atlanta property management services can help you with just about everything dealing with your rental property, including screening potential tenants for you. We know how to spot a bad tenant, the right questions to ask, and how to find a tenant who will be right for your property. With our help, you can worry less about who you are renting to. But we know that you may want to know how to find the right tenant and what questions should be asked. So, in this blog, we are going to give you a list of different questions to ask potential tenants and why these questions can help you find the right tenant for your rental property. Start with this basic question, it can help you learn more about the tenants than you may think. If they tell you that they are moving because they want their own space, they have a new job, or another legitimate reason, then proceed with the showing and continue asking questions. If the potential renters say something about being evicted, getting into arguments with their current landlord, or anything else along these lines, it should raise some concern. 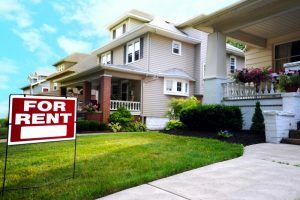 You are likely showing your Atlanta rental property because it is vacant and needs to be filled or will soon be vacant. There are two sides to this question so pay attention to their answer. If the tenants want to move in three or more months down the road, it could be inconvenient to you, plus they may find a place that suits them better in that time and leave you scrambling to find a new tenant. However, if they want to move in within the next week, it may show that they are poor planners and possibly leaving their old landlords stressing with a sudden and last-minute notice that they are moving out. There are exceptions, of course, such as if they were living with someone else, if they had a sudden job change, or something similar. You want the timing to work out for the both of you, but think about their answer, it could tell you a lot about who they are. You want a tenant who will be staying long-term, or at least plan to. The longer they plan on staying, the less work you will have to do to find a new tenant. Asking them these questions can tell you whether they are serious about renting your place or looking for a place to crash for a few months. If they say anything less than a year, it may be a good idea to cross them off the list. How Many Evictions Have Been Filed Upon You? An article from BiggerPockets says that phrasing the eviction question like this can help you figure out the truth. It will throw off potential tenants and rather than simply and automatically answering “no” they will have to think about the question. If they have been evicted, this phrasing may get them to admit to it, allowing you to hear them out or weed them out. If you don’t accept pets, asking “Do you have pets?” will cause people to say “No.” But when you casually ask on a questionnaire or in person what type of pets they have, they are more likely to answer honestly and think you are just making casual conversation. If you don’t allow pets, you don’t want tenants who have pets, since they may try sneaking them into the rental with them. Do You Have Or Will You Have The Security Deposit And First Month’s Rent Available Upon Move-In? This question can help you figure out how financially responsible your tenants are. If they have the needed amount ready now, you know they have been preparing to rent a place. If they will have it ready, it can also show they are more responsible and perhaps just didn’t realize they would be moving in so soon. 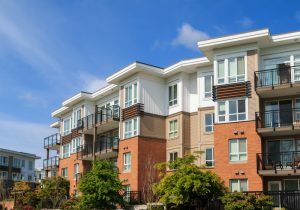 If they ask to pay the security deposit later on, it is safe to assume they will be troublesome tenants and may be late to pay rent as well. You don’t want to rent to tenants who will constantly owe you. This question will help you figure out a few things. If they are young adults, they may be living at home, which will tell you they have been able to save up some money. If they are living at home but don’t or won’t have the security deposit and first month’s rent ready upon move-in, then you know they are irresponsible with their money. If they are currently renting from another place but want to move into your Atlanta rental property as soon as possible, it may imply that they are being evicted or leaving without giving a notice. If they are renting from somewhere else but say they are moving because their lease is up, then you know that they are responsible tenants. Can I Get References From Former Landlords? You should contact their old and current landlords anyway, but asking them may draw something out that they were hoping you wouldn’t find out about. If they say “No”, it gives you a pretty good idea that they have something to hide. Asking former landlords is also a good idea, they are more likely to be honest rather than give good recommendations to try and get rid of a troublesome tenant. These are a few of the many questions to ask your potential tenants to weed out any bad tenants. There are many questions that should be asked and many ways to ask them. If you would rather leave the tenant screening process to the professionals, let us help. Atlantic Property Management can deal with any of your tenant issues, from screening to evictions (hopefully, we are not needed for evictions)! Contact us today to learn more and get started.